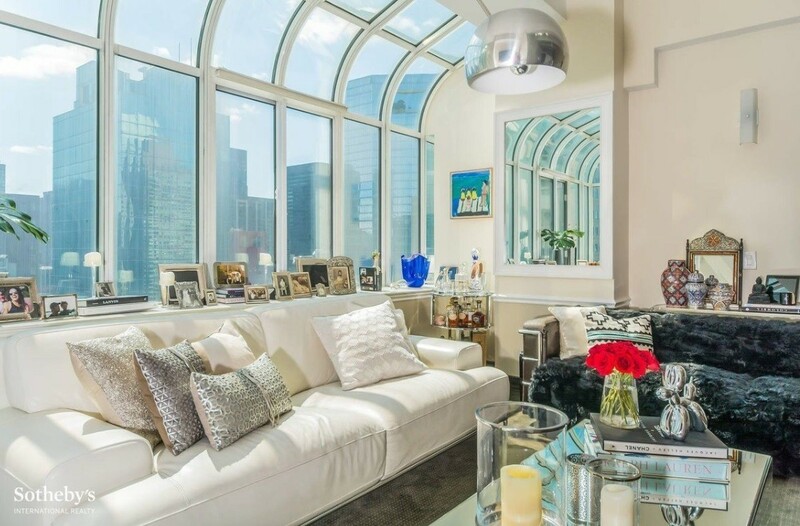 This studio has a lot going on, as reflected in a very high asking price. 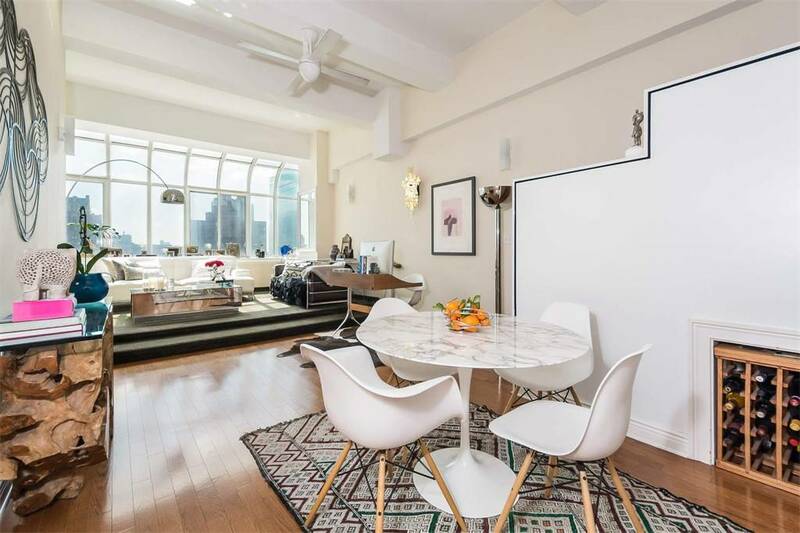 Sleeping lofts are not to everyone’s taste, but there are a lot of other impressive features in this studio at 310 East 46th St., such as 12-and-a-half-foot beamed ceilings, huge windows, and a large storage area beneath that loft. Taken together, these features might make the unconventional bedroom area seem more palatable. 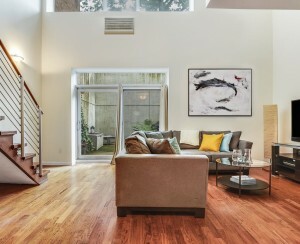 The apartment is listed for $899,000. 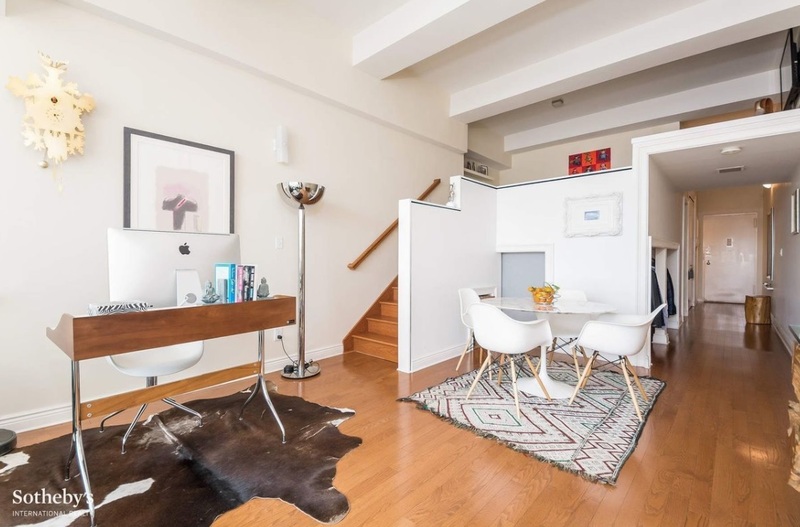 That's pretty high for a studio in Midtown East, where the median price for a condo studio is $640,000 and co-op studio is $445,000, according to StreetEasy. Here's what you get for all that green. You enter through a long foyer with solid oak flooring, pass by the bathroom, then the kitchen, and then a sizable closet to reach the living area. The closet is completely open, which is great for naturally tidy folks, but terrible for those of us who count on hiding things behind closed doors when company comes over. The table is pictured with four chairs, but would probably work better practically with just two. 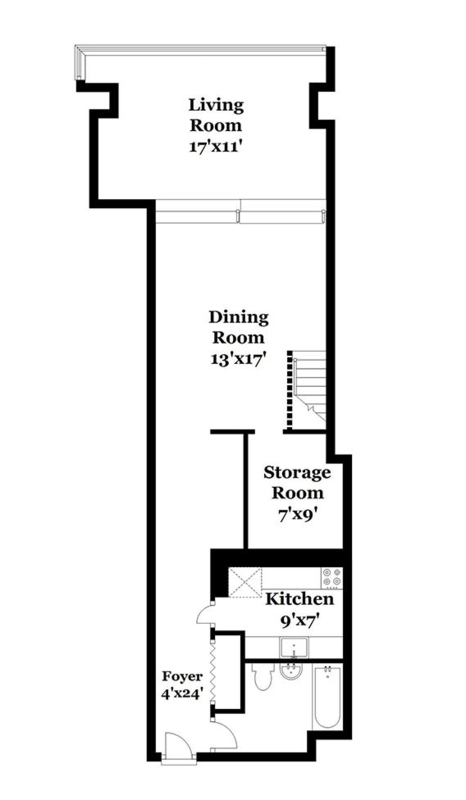 Beyond the dining area is room for a small desk, and then a raised living space. 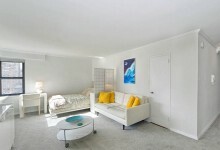 It isn’t huge, but there’s more than enough room for a couple of couches and a coffee table. The floor here is currently covered with an olive-green carpet. 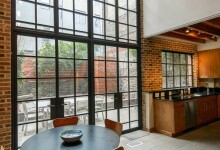 Stunning greenhouse windows take up most of the wall and curve to extend overhead. The windows let in lots of light and offer unobstructed views. There are no window treatments on them. Perhaps their irregular shape makes curtains hard to find? 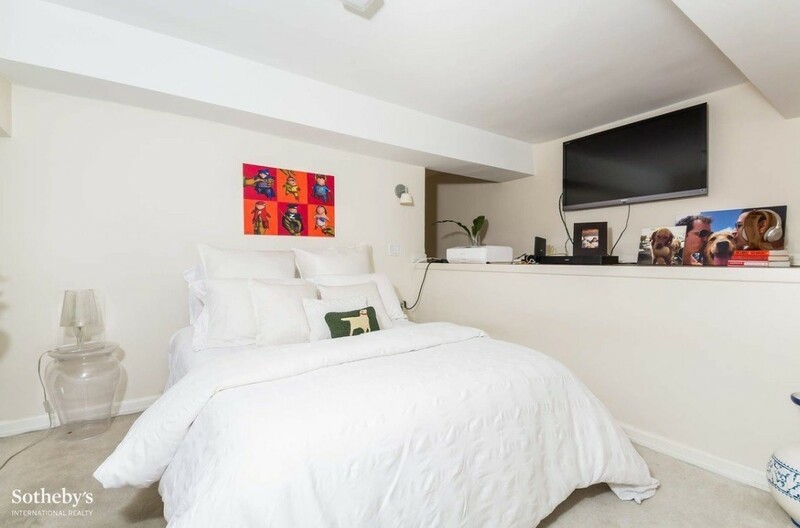 The large loft fits a big bed, a wall-mounted television, and a space for assorted knickknacks. It’s pretty sparsely decorated at the moment. 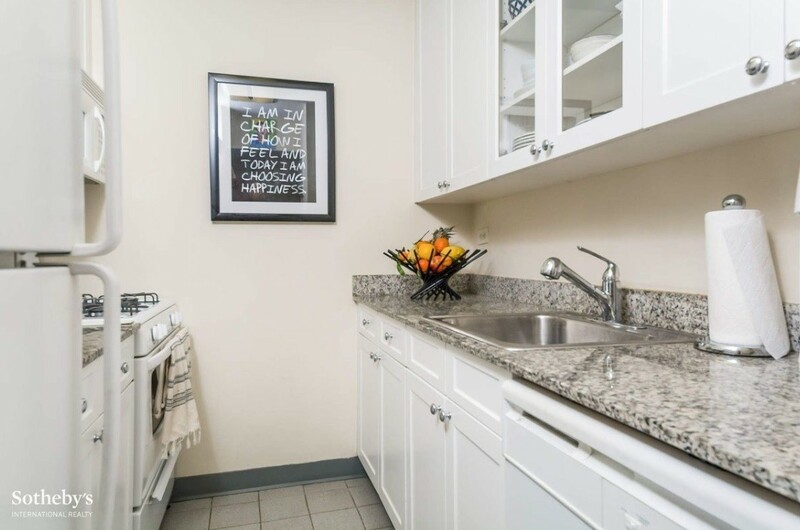 The recently renovated kitchen is a bit bland, with white custom cabinets (including two glass-fronted ones and matching white appliances. 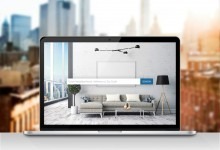 The room would probably benefit from a vibrant painting on the wall, a bright red kettle on the cooktop, or a lime green stand mixer on the counter. The bathroom is also fairly antiseptic-looking, with white absolutely everywhere, except for the honey-colored top of the vanity. 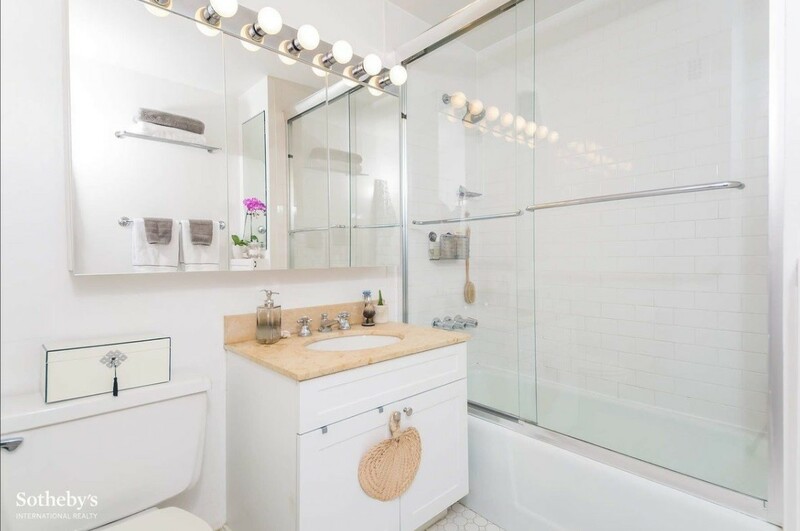 Some matching accessories—hand towels, soaps, etc.—would liven up the space. 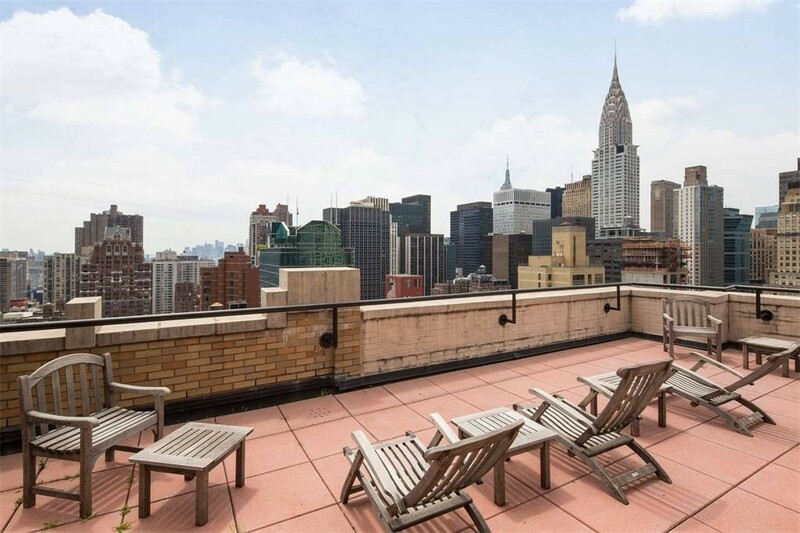 Residents have access to a shared roof terrace with views of the Chrysler Building. 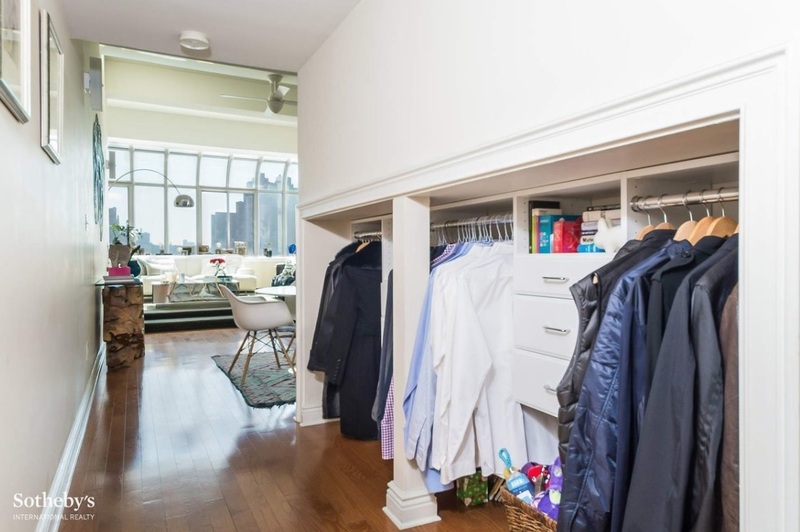 Turtle Bay Towers is a pet-friendly pre-war condop building with a 24-hour doorman, a garage, a bike room, storage, and laundry. 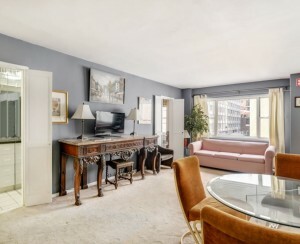 The building welcomes pieds-à-terre and investors, and is close to Grand Central. Nearby restaurants include Jubliee and Deux Amis, and there's a farmer's market on Wednesdays in Dag Hammarskjöld Plaza.